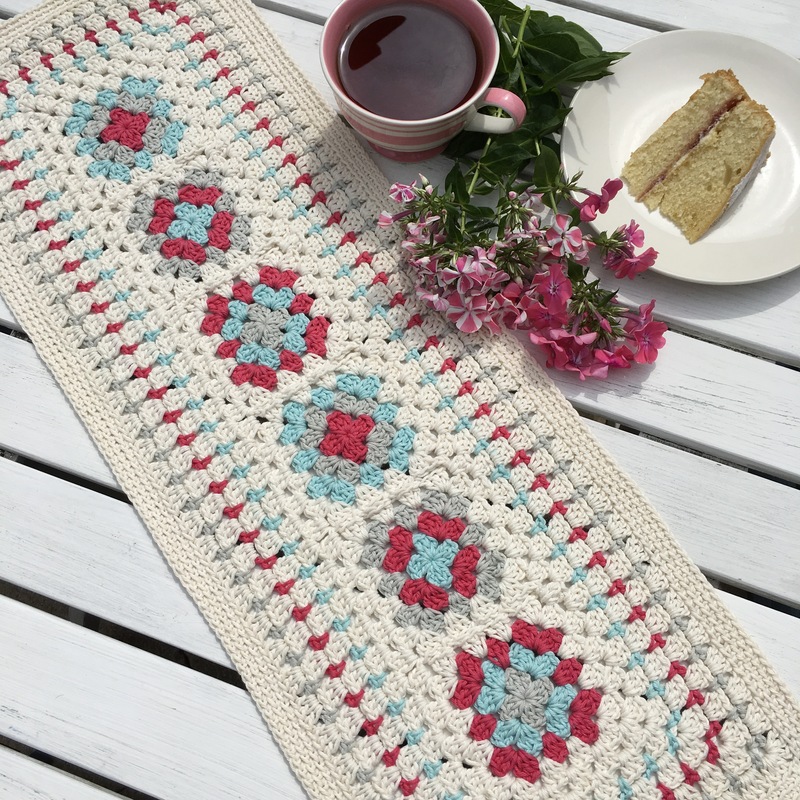 Everybody loves a granny square, so here’s a fun free pattern to add some colour to your table! 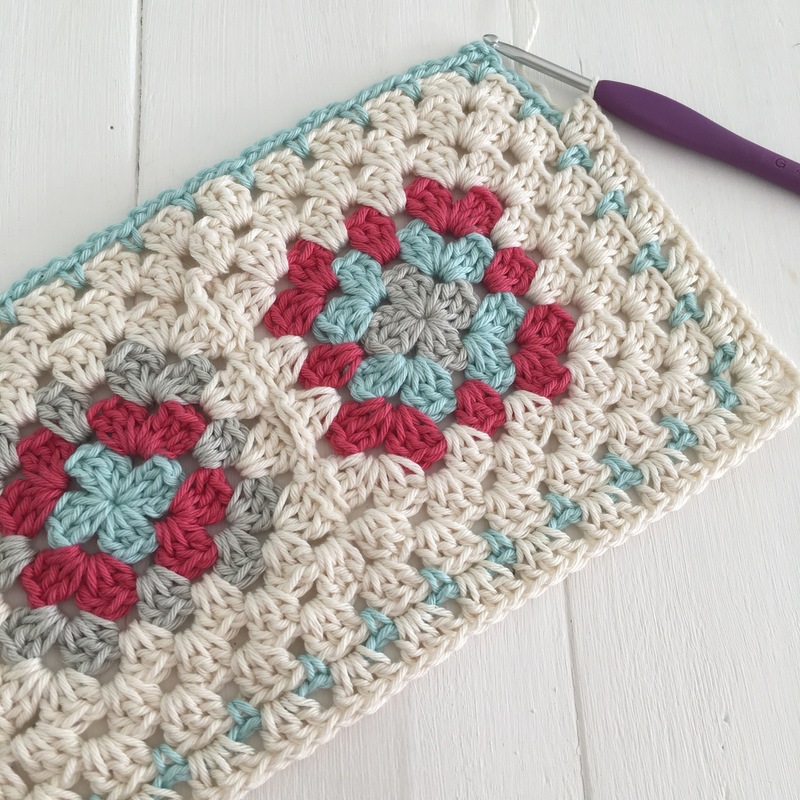 1.Make as many granny squares as you like to fit your table, we made 6 with 3 rounds in each. 3. Then using our main colour ivory we worked 2 further rounds, working 3tr in every space and (3 tr ch2 3tr ) into each corner space.Fasten off. 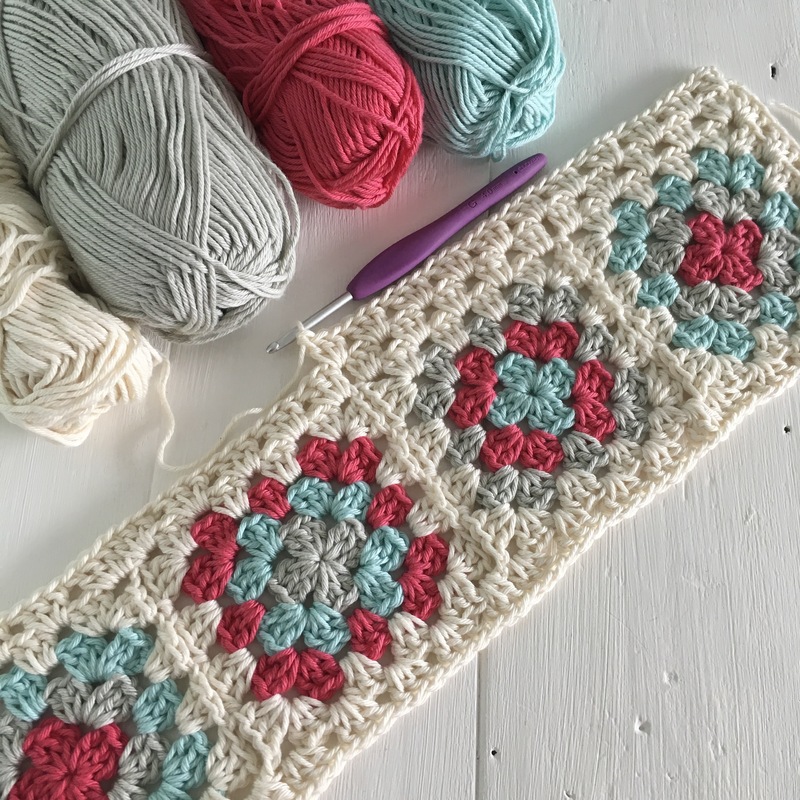 4.Attach a new colour yarn into any ch-2 corner space,ch4 (counts as first dc plus 3ch) ,dc into same space,*ch3,skip 3 stitches,dc into next sp between treble groups. *repeat from *to * ,to next corner sp,(1dc ch3,1dc) into corner space, continue in this way around,slst into first ch of beg ch-1,to join. 5.Attach main colour ivory into any corner space,ch3,( counts as first treble ) 2 tr,ch2 3tr,into corner sp,*3tr into each ch-3 loop space,*repeat from *to*,to next corner sp ,(3tr,ch2, 3tr) into corner space,continue in this way around,slst into beg ch-3.to join,fasten off. The border is worked into the backs of the loops . To complete work 3 rows of dc,working into the backs of the loops only on each round and sl st to join each round. 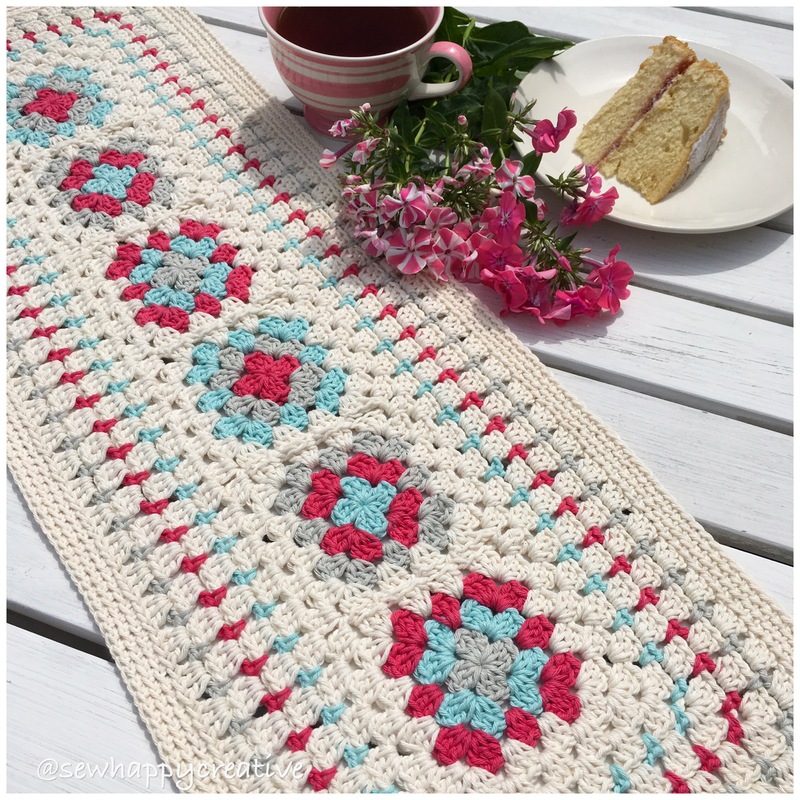 This gives a lovely simple decorative border and helps weight the edge of your runner . You may like to block it. 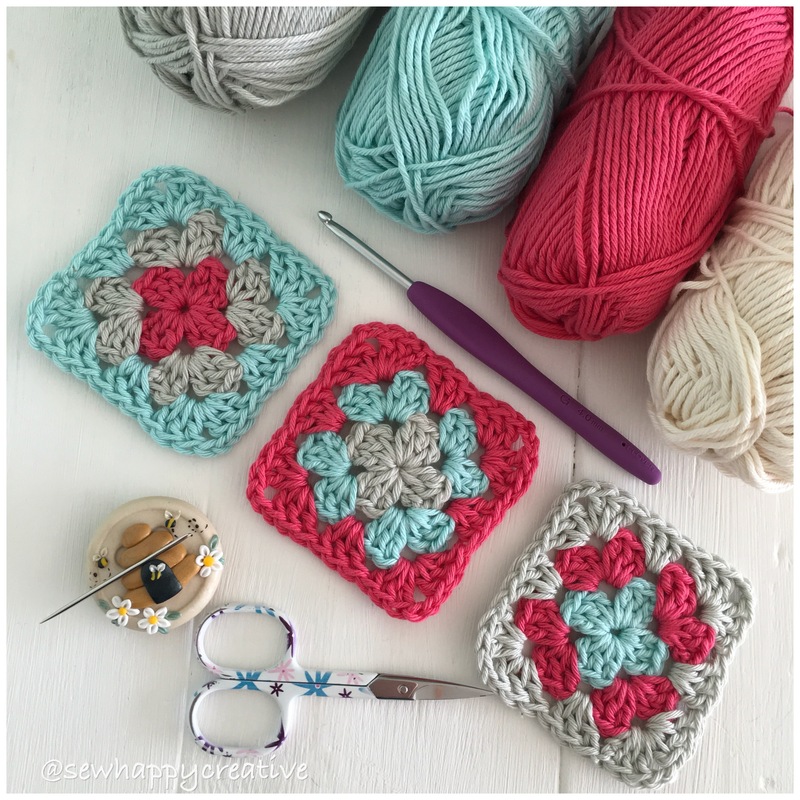 Granny Square Day 2017 ~ what to do with all those left over granny squares !